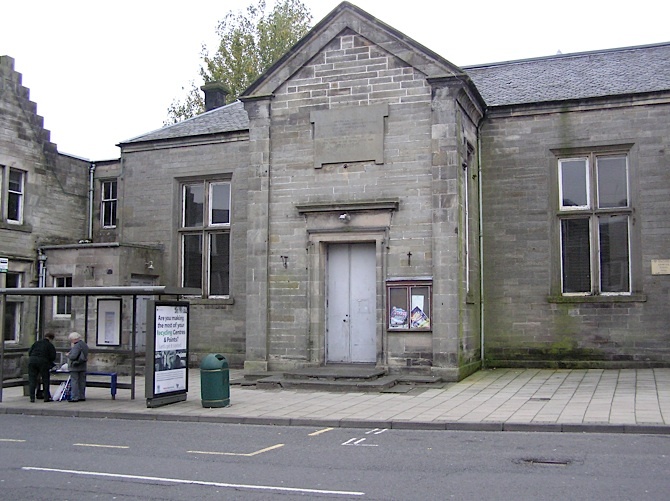 Kinross Town Hall & Public Library lying derelict and abandoned. Responses to a consultation on what the Scottish Government’s Community Empowerment and Renewal Bill should contain closed in September and will be published soon. This is my response in which I open by placing concerns over community empowerment firmly in the context of Scotland’s failed democracy and the relentless centralisation of political power (see Campaign for REAL Local government). Without addressing such key governance issues, community empowerment risks becoming the same kind of sop that the creation of community councils were in 1975 when Scotland’s local government was eliminated, leaving us as the least democratic country in most of Europe as the table below illustrates. The saga of the Town Hall continues with the refusal of planning consent on Wednesday (it is interesting to note that Kinross-shire is now so insignificant politically that the Courier files the online story in the ../News/Fife.. directory. Responses to the Community Empowerment and Renewal Bill are now published and can be found from a link on the Scottish Government’s website here. Today, Alex Salmond is expected to announce that the Bill will form part of the Scottish Government’s legislative programme for the coming year. The Town Centres Review was published in July 2013. I have written to Malcolm Fraser but he has not replied. UPDATE 3 Sep 2013 – He did subsequently reply.